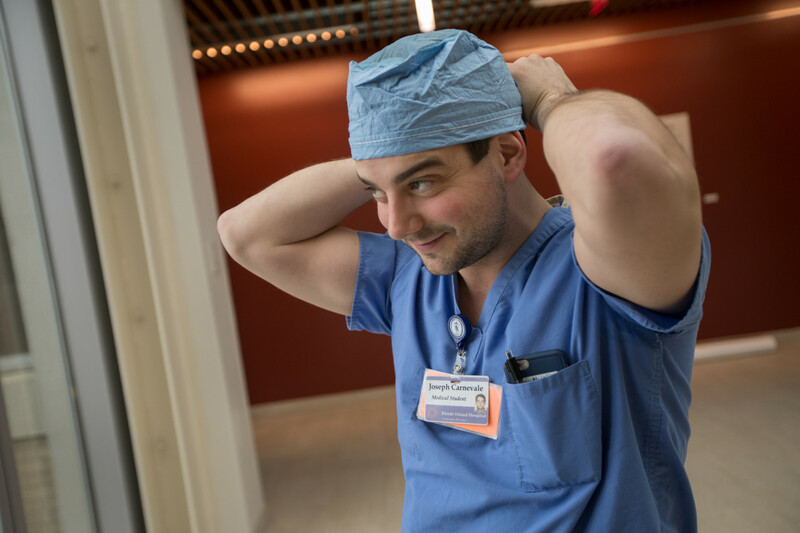 Joseph Carnevale MD’17 is awaiting Match Day on March 17—when he’ll learn where he will start his medical career as a resident—with “nervous excitement.” As with scores of other graduating peers at the Warren Alpert Medical School, residency will mark his debut as a physician and will determine where he lives for at least the next several years. The way medical students get their first job, by being told where to go rather than choosing it, is something the Providence native puts into sports terms to explain to his non-medical friends. On Match Day, that third Friday in March when fourth-year medical students across the country learn where they will become residents, all is revealed at exactly noon Eastern Daylight Time. Medical schools—including Brown’s—often festoon Match Day events with party trimmings like cupcakes, balloons, and music, but it’s no magic moment. Instead, it is the culmination of an increasingly grueling nine months of composing a mammoth application, traveling for interviews, and engaging in intensive introspection. Fully aware of the stakes for their careers and their lives, students feel great pressure to match, and many do everything they can to ensure it’s at one of their preferred hospitals. Every student’s experience is different. Carnevale, who is pursuing an especially competitive residency, in neurological surgery, says he applied to 68 programs and went on 26 of the 47 interviews he landed. It’s not only time consuming, but also expensive.